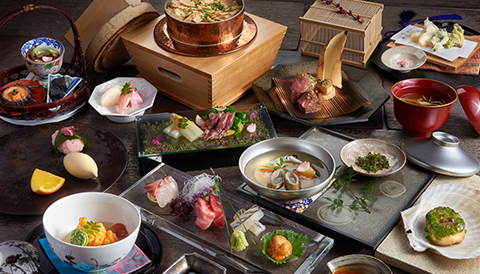 Time-honored and authentic, yet bold and modern: That’s the balance you will encounter at Mizumi, where outstanding Japanese cooking is combined with Omotenashi, the country’s famed spirit of hospitality and service. Every dish is a precise work of culinary art, from the selection and combination of ingredients to how each is cut and how long it is cooked. Savor char-grilled alfonsino bamboo shoots, roasted sesame, and other exquisite fare. Three distinct cuisines await at Mizumi: crispy tempura, savory teppanyaki and sublime sushi – choose one or mix your favorites from our a la carte menu. Undecided? Our expert servers will guide you through a tour of Japanese cookery to ensure you enjoy an evening filled with entertaining, attention-filled service. Mizumi’s five Master Chefs prepare each dish with incredible precision and artistry with fresh ingredients imported daily direct from Japan. An incomparable array of sakes, many rare and exclusive to Macau, as well as Japanese beers, small-batch whiskeys and signature cocktails, complete this inventive, highly cultured dining experience. * Please refrain from wearing caps, sleeveless shirts and open-toe shoes. Full-length trousers are required for gentlemen. Experience the delectable tastes of Japan with a multi-course kaiseki menu that carefully balances the authentic flavors, texture, and appearance of white asparagus, "Hotaruika" firefly squid, Japanese clams, A5 Wagyu beef and more. Enjoy a delicious evening with Japan's "Master of Yakiniku Beef." 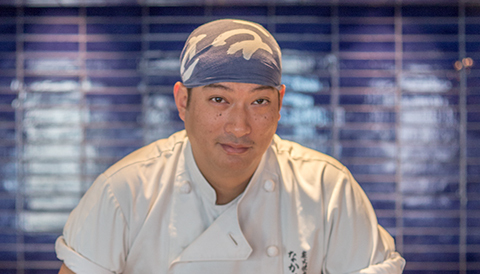 Renowned chef Nakahara has revitalized the art of yakiniku charcoal grilling. Each piece of beef he serves is carefully selected and hand-sliced to perfection.